German Talmudist of the thirteenth century. He was a contemporary of Eleazar of Worms and Menahem ben Jacob, with whom he disputed concerning a halakic decision. 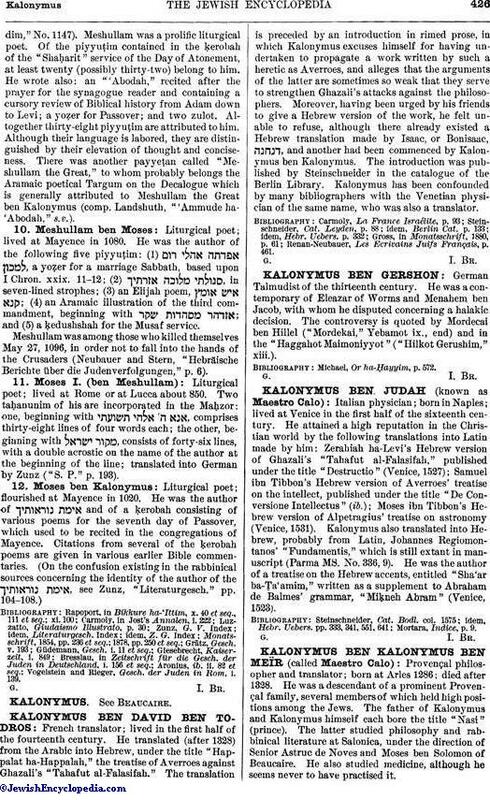 The controversy is quoted by Mordecai ben Hillel ("Mordekai," Yebamot ix., end) and in the "Haggahot Maimoniyyot" ("Hilkot Gerushim," xiii.). Michael, Or, ha-Ḥayyim, p. 572.